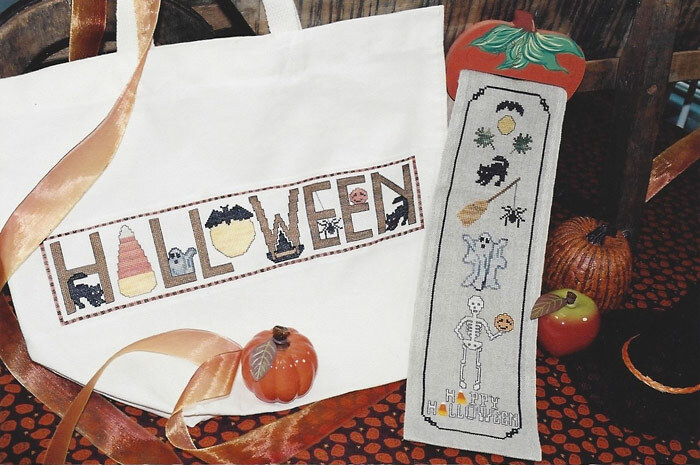 Halloween Highlights includes a bell pull design and a tote bag pattern with the word Halloween spelled out in bold letters. 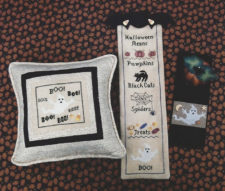 A black cat is curled around the letter H and a candy corn makes up the letter A. Peering out from behind the letter L you see a ghost, while a full moon O shines down on a black spider hanging from his web. 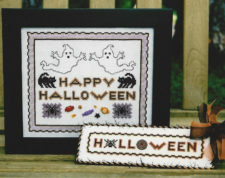 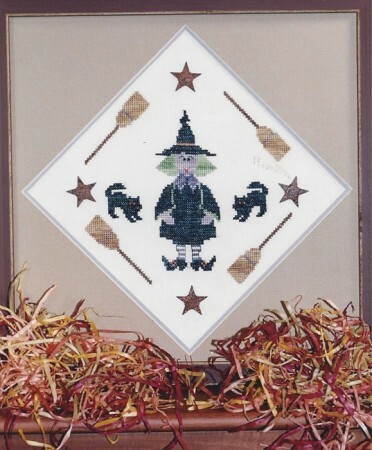 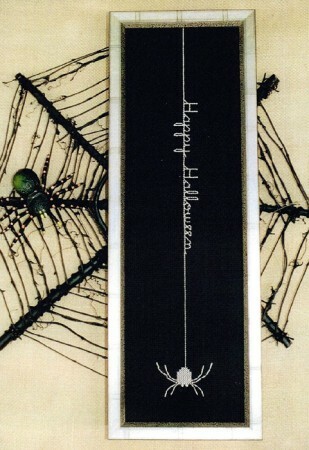 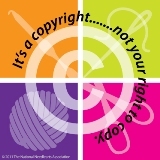 The bell pull pattern includes a spooky skeleton and six halloween characters.